You are at:Home»Entrepreneurship»How has the mission of your business changed over the years? 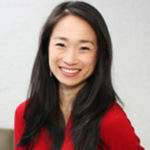 Danielle Chang discusses how interest in Asian culture including its food has become globally beloved in recent years. She talks about how she has long wanted to create a business that reflects her culture. She tells the story of how she first created a magazine about the Asian culture including about food and travel and ideas. Now she believes she has the right vehicle for a successful business with LUCKYRICE where the focus is on the universal medium of food. Previous VideoWhat has led to your business success? Next Video What is the business model for LUCKYRICE?